Have you faced challenge to find out how many preventive maintenance orders are not completed as per planned date? Or what is the status of various calls that were released last week? 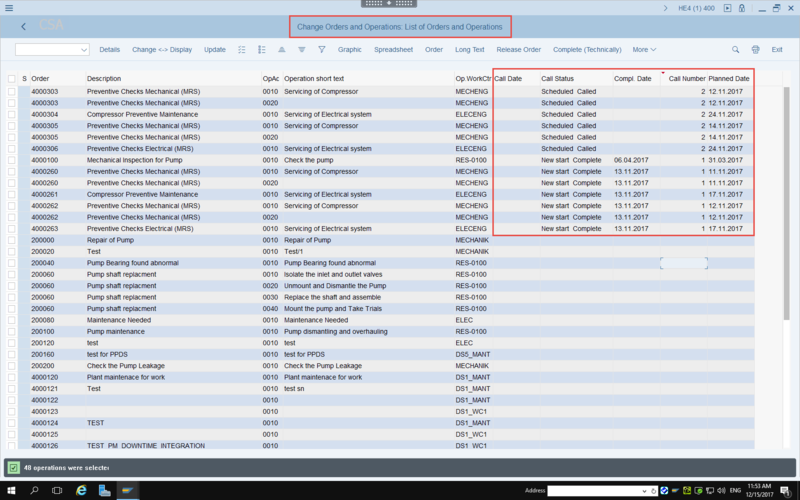 Display list of maintenance orders or operations (IW38/IW37N) are main reports that most maintenance planners would use to identify backlog, status of each order, priority of orders, etc. Though IW38/IW37N are great reports to perform most of the planning decisions, it missed some of the important information about orders created from preventive maintenance plans. 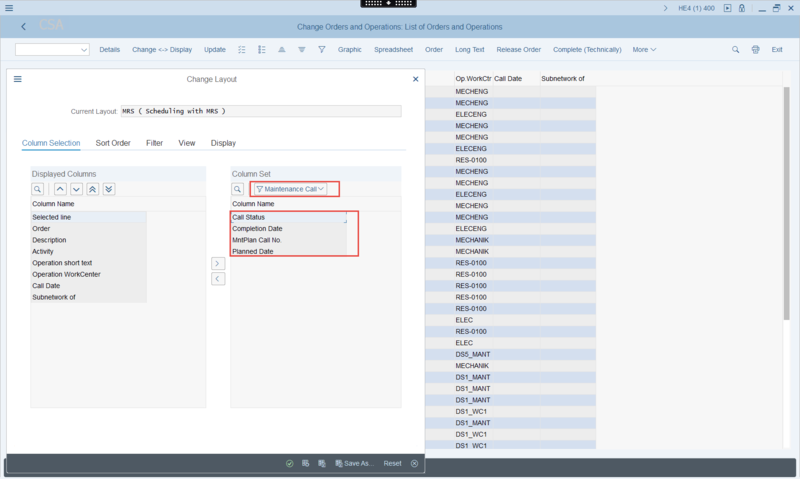 SAP has recently release new set of notes that enable visibility of call number, call date, call status, planned date and completion date of the maintenance orders created from preventive maintenance plans. These features are enabled for SAP ERP EhP6 till latest release of S/4HANA. Please refer following notes to get additional information. To enable this functionality, you may need business function LOG_EAM_CI_8 and switch EAM_SFWS_CC4_ORDLIST_CALLDATES. Fig 1: Additional attributes within ALV report for order and operation list. Fig.2. Order and Operation list view with additional column. Please refer to video recording by Clicking this link to get highlight of this function. Please note that this recording shows most recent version of SAPGUI. Same information is available on older version of SAPGUI or Webdynpro based screens along with POWL. This enhancement was developed as part of the ongoing initiative of Customer Connection project for SAP Enterprise Asset Management (Plant Maintenance). This initiative is dedicated to improve the current SAP Plant Maintenance solution in Business Suite. Customer Connect is one of the influence program that gives our customers the opportunity to influence the software that our customers are actively using. General Information about Customer Connection can be accessed from here. To find more detailed Information about this Customer Connection topic within Plant Maintenance project, click here. In case you want to get more involved and influence the development under progress, please subscribe in the Innovation space and contact Zeliha Dikmen. The Customer Connection group is always happy to get more customers involved in defining, testing and improving the current solution.